In celebration of the Tarina Tarantino beauty site being launched tomorrow Feb. 7th I'm posting this review on the Wonderful palette! 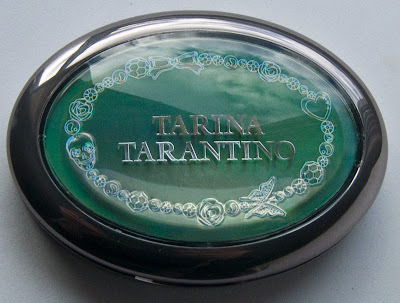 I picked up this Tarina Tarantino Jewel Eyeshadow Palette in Wonderful before the final in store clearance at Sephora in December. Retails for $32US and $38CAN for 0.32 oz in store it was $22CAN. Jewel Eyeshadow Palette in Delightful contains 4 shimmer shades and one matte/sparkle. 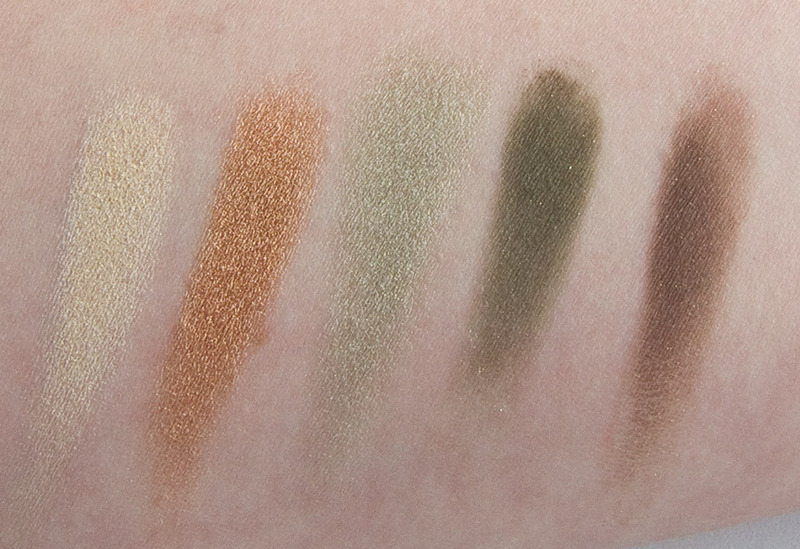 All the shades where buttery to work with. 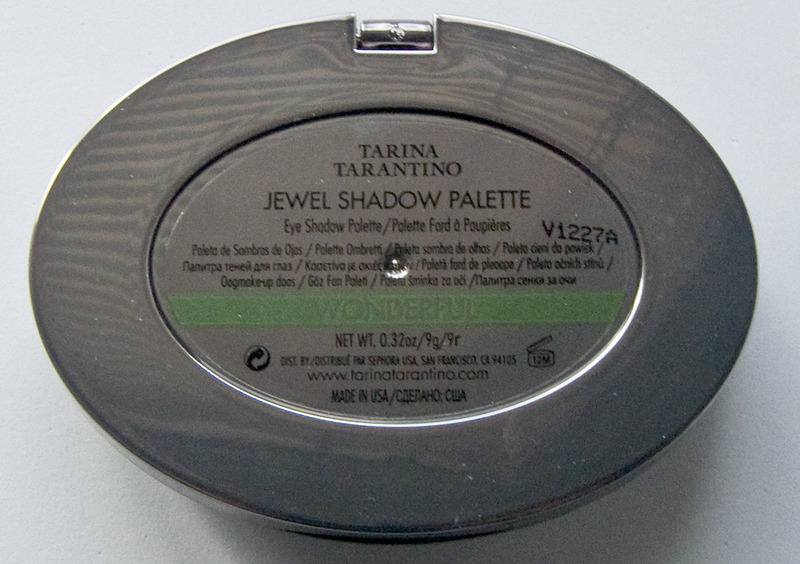 The top shade is a warm shimmer deep moss green. 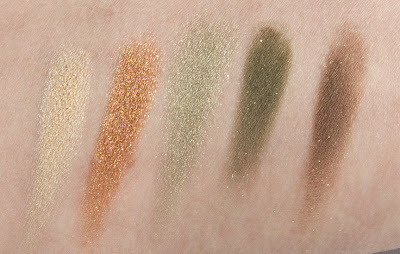 The bottom shade is a matte medium brown with warm gold sparkle. Wear: I got about 6 hours wear on their own. Packaging: A solid plastic compact with a mirror metal finish. Again the hinge and compact feel durable. 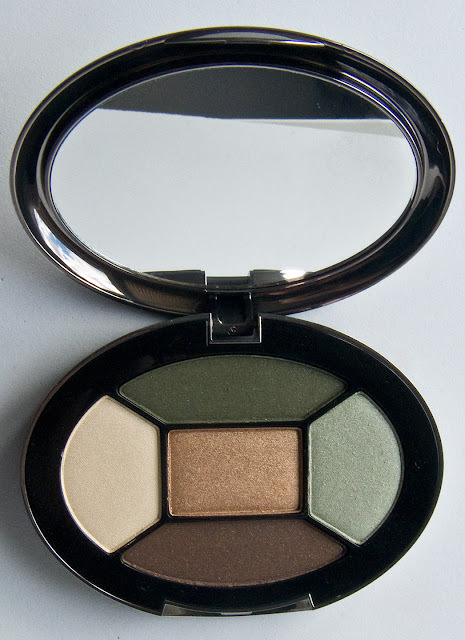 Pale yellow on brow bone and inner corner, light green on lid and moss green on lash line and outer corner. It would work lovely for fair to medium skin tone girls as a day look palette. 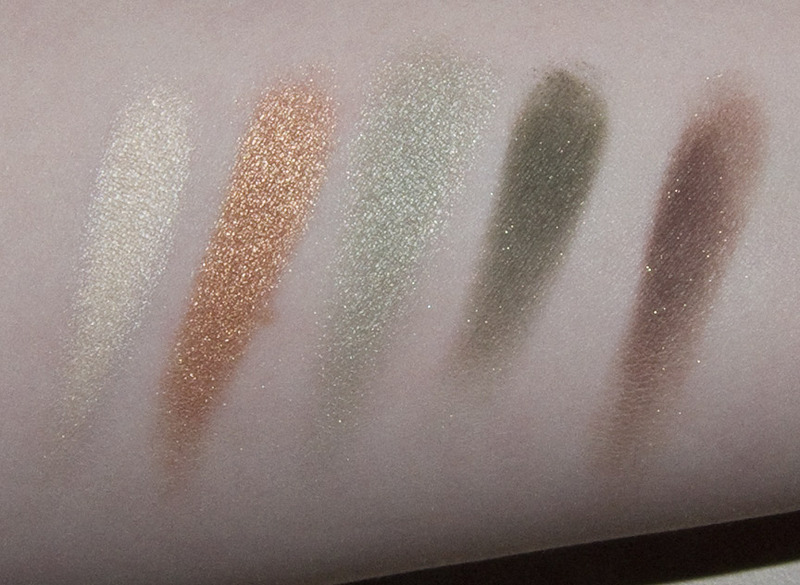 This would look very frost on deeper skin tones. If you missing and Earth tone palette you might want to check this out.